Want to know how to transfer iTunes library to iPhone 8/X, or other iPhone models, iPhone 7/6s/6/5s/SE? 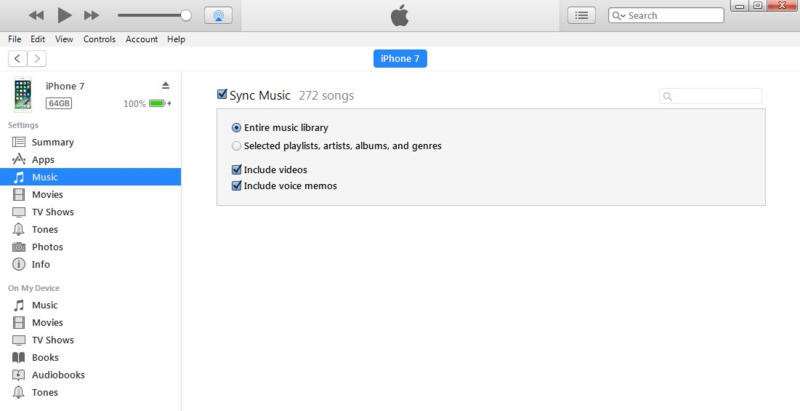 Follow this guide to grab two ways to easily sync iTunes library to new iPhone. AnyTrans provide you with easy ways to manage your all kinds of iPhone data, from your iTunes, iCloud, iDevice itself, and computer (PC/Mac). Supports all iPhone models, iPhone 8/7/6s/6/5s/SE. iPhone X/8 (Plus) is arriving, with all kinds of new and eye-caching features out there, OLED iPhone model, facial recognition and all-screen, wireless charging, water proofing, and so on. When we get a up-to-date iPhone 8/X, besides enjoying its new good-looking, we would like more to add more information to the new iPhone, and make it serve our daily lives right away. To add data and files to new iPhone 8/X, you can have many ways, restoring from iTunes, or iCloud, or even switch from an Android device, when setting it up, or after setting up, syncing iTunes data and files, or transferring from previous iDevices, etc. In this post, we mainly focus on showing you how to sync iTunes to new iPhone 8/X, with three methods. Keep reading and grab them all. For music and videos files, iTunes enables users to directly drag the titles you want from iTunes library to iPhone 8/X. And here are steps. You can only add music or video from a single iTunes Library to iPhone 8/X. Direct iTunes library transferring is extremely slow, and may leads to iTunes crash. You may lose your files in the process, happening occasionally. Base on these unpleasant issues, we sincerely recommend you to move to Method 3 for a better iTunes files transferring. Step 1. Connect your iPhone 8/X to your computer. Step 3. Choose the content that you want to add to your new iPhone from your iTunes library. Step 4. Then drag the content to your iPhone, in the left sidebar. Compared to iTunes library transferring way, this syncing method can add more types of data, besides music and videos, there are also albums, playlists, books, podcasts, audiobooks, and tones. However, it also has a very important problem you need to know before using it: Syncing iTunes to iPhone 8/X with this method will erase all data existed before on your iPhone. Besides, you also have to keep patience, because of its slowness. If you cannot stand these issues, you can also move to Method 3 for a better choice, and avoiding such problems. Step 1. Open iTunes. Update it to the latest version if it is not. Step 2. Connect new iPhone to computer with USB cable. Step 3. Click on the device icon. Step 4. Click the content type that you want to sync. Step 5. In the main iTunes window, click the box next to Sync to turn on syncing for that content type. Step 6. After you turn on syncing for a content type, you'll see additional options to customize your sync settings. Use these options to make sure that you’re syncing the content that you want. Step 7. Repeat steps 4-6 for each content type that you want to sync. Step 8. Click the Apply button in the lower-right corner of the screen to save your sync settings. If syncing doesn't start automatically, click the Sync button. Considering those drawbacks of method 1, and method 2, we provide you with the third way to sync iTunes to new iPhone, much more easily, by the help of AnyTrans. 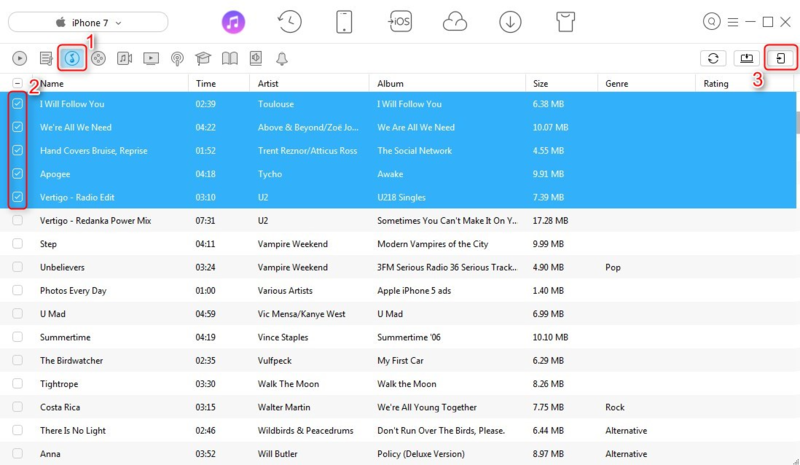 As an iTunes library extractor as well as an iPhone data transfer, AnyTrans makes it easy to manage your iOS content on your computer (PC/Mac). 1. Download your iTunes library to any iPhone, iPad, and iPod, and no data will be erased. 2. Selectively transfer the media files in iTunes library to your iPhone like music , playlist, movies, Home videos, TV Shows, podcasts, ringtones, books, audiobooks, etc. 3. Export files in iTunes library to computer hard drive in selected folders so you can find and view them easily. 4. Transfer data from iPhone to iTunes, to computer, to another iPhone, and vice versa. 5. No erasing existed data on iPhone. 6. Ensure fast transferring speed. So why not download it now, before we get started with detailed steps (Below we will take music transferring as an example). Step 1. Open AnyTrans, and connect your iPhone 8/X to computer. Click iTunes Library icon. Step 2. 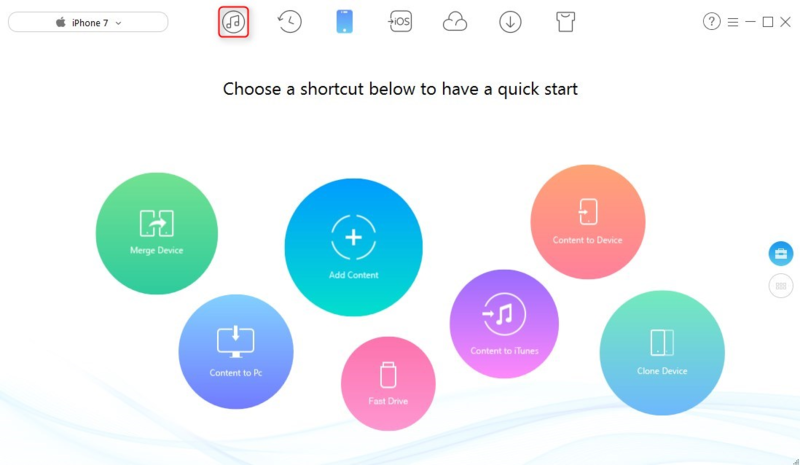 Click Music tab > Select the songs you want to transfer > Click the To Device button on the right hand corner to start the transferring journey.